The Story: Science experiment activates paranormal happenings as family deals with loss. Anthony Scott Burns' debut feature film starts off slow and easy but, as the story progresses, the intensity picks up and the scares come rolling in. The pacing and energy level of the movie is very deliberate and steady which keeps it from getting bogged down although I also feel like Burns either played it safe or had some budget limitations to deal with that kept it from hitting the shocking horror notes I was looking for during the third act. The focus of the movie is on the relationship dynamics between the three siblings as they try to maintain what remains of their normal lives after tragedy strikes. Burns gives us just enough to get to know who the members of the family are without going too deep into character development which does keep things moving along nicely. The problem with this is that there isn't enough meat in the story to get emotionally invested in the family which softens the third act a bit without that added emotional punch. 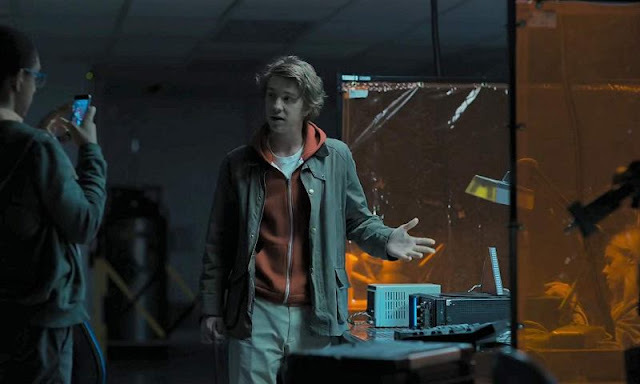 Thomas Mann, after being featured in several teen oriented films like Project X and Me and Earl and the Dying Girl, has stepped a little farther into the spotlight taking on bigger fare like Kong: Skull Island and now stepping front and center in the lead role of this movie. I was pretty impressed with his on screen presence as he no longer seems like the scrawny kid we are used to seeing and his acting seems to be getting better with each movie he does. Nicola Peltz is solid in her role although it would have been nice to see her a little more involved in the story, especially during the big climactic moments. 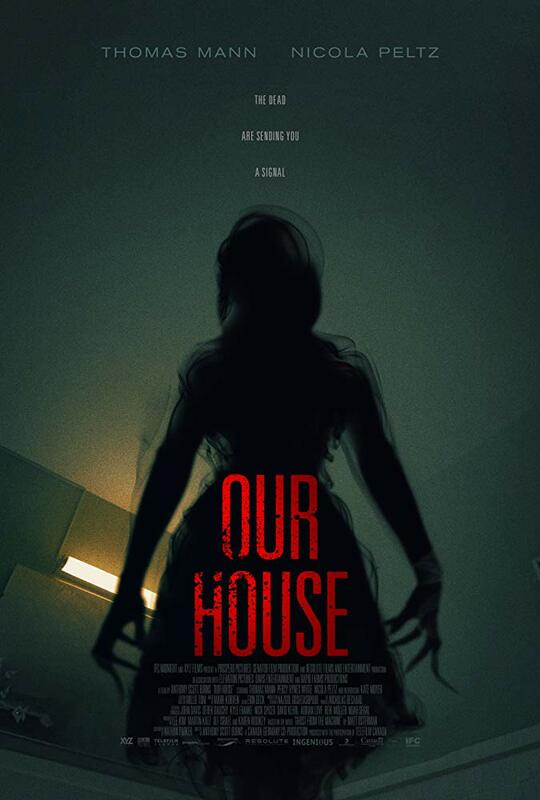 Our House is a solid entry into the horror genre from first time feature director Anthony Scott Burns. This was a very safe movie to start off with and I'll be very interested to see what he is able to do with better material and a bigger budget. That being said, this is still an entertaining movie that hits all the right notes and would make for a fun family horror night that won't cause too much mental or emotional trauma.